The sixth annual Nantucket Project will take place at White Elephant Hotel on Nantucket Island, September 23-25. The ideas conference brings together a select group of accomplished visionaries and innovators across different fields. The overarching theme of this year's event is "Walls: within us between us, and around us." Indeed an intriguing concept for discussion in the current political and social climate. Deepak Chopra, Billy Corgan, Krista Tippet, and Christy Turlington Burns are just a handful of the 36 presenters who will engage attendees through exclusive conversations, forums and performances. 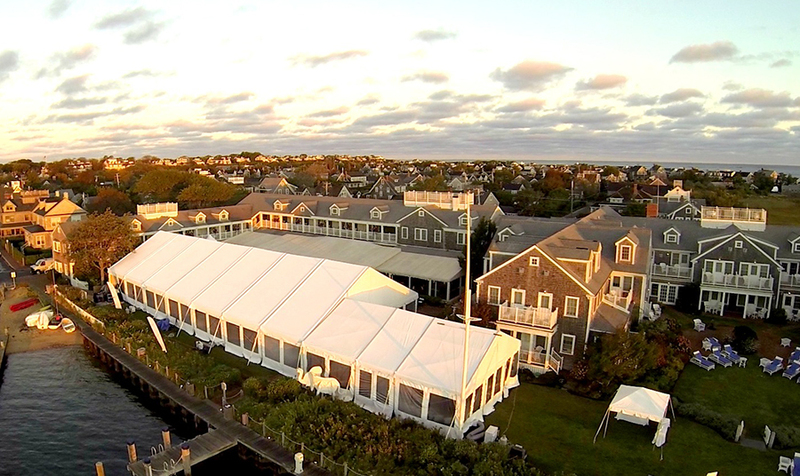 White Elephant, the official host hotel, serves as the ideal base for The Nantucket Project. 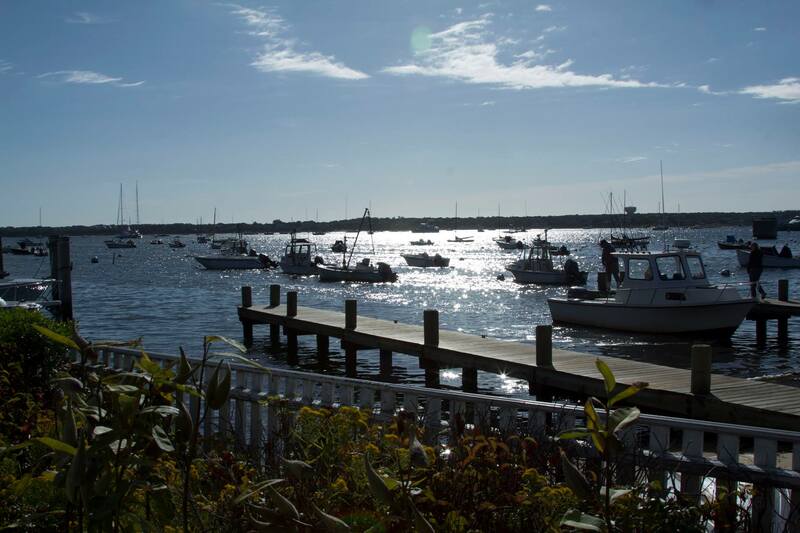 The program takes place on the lawn, offering stunning views of Nantucket Harbor to inspire creativity and imagination. Recipient of Condé Nast Traveler's "Readers' Choice" and Travel + Leisure's "Worlds Best Hotel" awards, White Elephant is known for its waterfront location and personalized service. 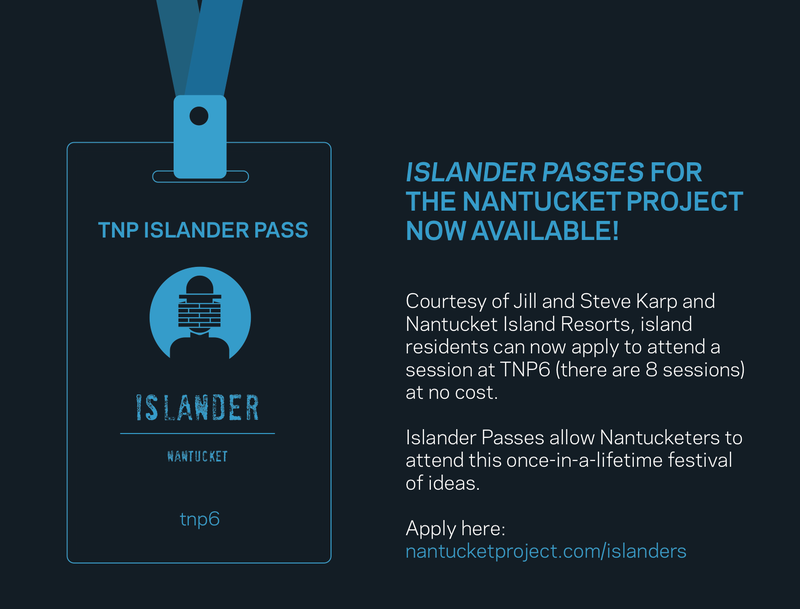 For the second year, the Karp family has very generously underwritten the "Islander Pass" which serves as an amazing opportunity for members of the Nantucket community to apply for admission to the event. To learn more about this unique opportunity for Nantucket Islanders click here. 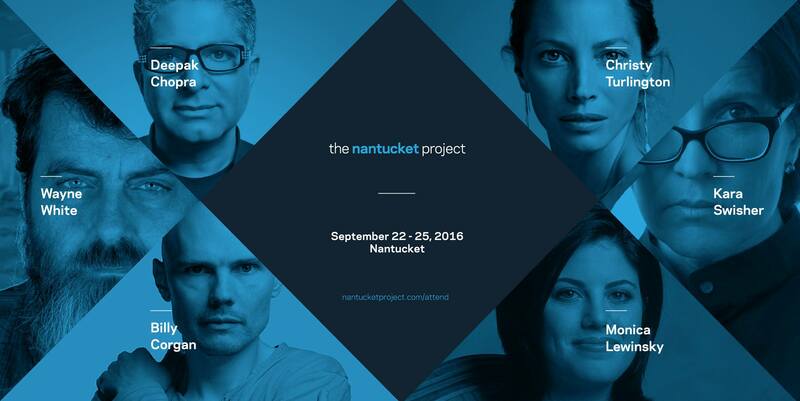 The full roster of presenters at The Nantucket Project has been released on the event's website. Tickets are also available for purchase by clicking here.